Provide comfort for the family of Joseph Spell with a meaningful gesture of sympathy. Joseph Wayne "Joe" Spell died Saturday, March 23, 2019. Visitation will be 5 pm til 7 pm Tuesday, March 26, 2019 at Southern Funeral Home. Services will be 2 pm Wednesday, March 27, 2019 also at the funeral home. Burial will be in Tranquill Cemetery in Yazoo County. Joe was born December 12, 1974 to Glenda Winstead Spell and Jimmy Wayne Spell. 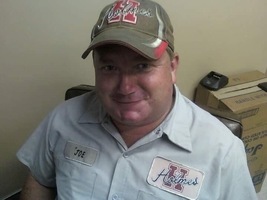 Joe was a HVAC Engineer at Holmes Community College. He was a member of Eden Baptist Church. Survivors are his mother, Glenda W. Millwood of Yazoo City; son, Drayton Spell of Yazoo City; daughter, Madison Spell of Coxburg; brothers, Michael Lynn Spell of Yazoo City, Robert Millwood of Yazoo City and Eugene Millwood, Jr. of Benton and nephew, Zachary Dylan Spell of Yazoo City. To send flowers in memory of Joseph Wayne "Joe" Spell, please visit our Heartfelt Sympathies Store. Provide comfort for the family of Joseph Wayne "Joe" Spell by sending flowers.